WASHINGTON, DC, December 8, 2011 (ENS) – This year, residents of Midland, Texas sued Dow Chemical for dangerous levels of hexavalent chromium in their drinking water. Chromium-6 is a cancer-causing chemical made infamous by Julia Roberts’ film, “Erin Brockovich.” There are currently no drinking water standards for chromium-6, and the chemical industry is delaying a new U.S. Environmental Protection Agency assessment labeling it a potent carcinogen. This is far from an isolated scenario, threats to the public drinking water supply are national in scope. From the 1950s to the 1980s, trichloroethylene, a carcinogenic metal degreaser, lurked, undetected, in the drinking water at North Carolina’s Fort Lejeune – affecting up to one million marines and their families. California’s San Joaquin River and San Francisco Bay Delta are contaminated with selenium and mercury. Atrazine, an agricultural weedkiller, frequently pollutes groundwater across the Midwest corn-belt. Las Vegas tap water contains radium. 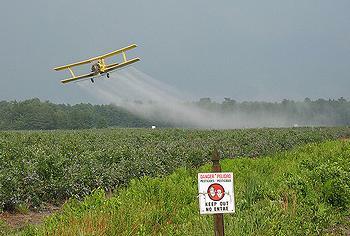 Across Florida, pesticides taint a public water system serving nearly 10 million people. And in the Northeast, millions living along New York’s Hudson River and New Jersey’s Passaic River struggle with the industrial legacy of toxic PCB and dioxin pollution. Americans overwhelmingly want such problems solved. Safe drinking water was of serious concern to 84 percent of respondents in a recent Gallup poll that also ranked water pollution as the top U.S. environmental concern. Ensuring that Americans have clean water has been an effort with strong bipartisan support for four decades. President Richard Nixon and Congress established the EPA in response to growing public demand for cleaner water, air and environment. The Clean Water Act followed in 1972, and the Safe Drinking Water Act in 1974. But today there is a deep disconnect between escalating public concern and government action. Numerous bills passed this year by the Republican-led House of Representatives bash well-established scientific evidence, attempting to dismantle or delay regulations that safeguard America’s water, food, air and environment. The current war on clean water is part of a Republican deregulation agenda that screams “job killer!” at any environmental protection effort. Both Senate and House Republicans make no secret of their ultimate goal: to end all environmental regulation and abolish the Environmental Protection Agency. “EPA is a rogue agency,” Nebraska Republican Representative Lee Terry recently told the Associated Press. Texas Governor Rick Perry opened his presidential campaign by saying the agency “won’t know what hit ’em” if he is elected president. The REINS Act, which passed the House of Representatives on December 7, is among the most draconian of these new initiatives. By a vote of 241 to 184, the House approved the Regulations from the Executive In Need of Scrutiny Act, which would require an up-or-down vote in Congress on all rules with an annual economic impact of $100 million or more proposed by regulatory agencies. Four House Democrats voted for the bill: John Barrow of Georgia, Dan Boren of Oklahoma, Mike McIntyre of North Carolina, and Colin Peterson of Minnesota. The REINS Act has been flying under the media radar, embedded in both Senate and House plans for “job creation.” It would require a Congressional vote on any regulation with an annual economic impact of $100 million or more – that’s 50 to 100 votes per year – creating a scheduling nightmare that would make passage of any new federal regulation virtually impossible. Under the Act, if one house rejected or failed to vote on a rule within 70 working days, it would “be dispatched to the regulatory graveyard,” notes “The Washington Post.” REINS would return environmental regulation to 1890s standards – when corporations polluted with impunity. While advertised as money savers, these attempts at deregulation are thinly-veiled corporate giveaways that will bolster industry profits at the expense of our families’ health. These attacks on Clean Air and Clean Water act protections, if passed, would cause tens of thousands of premature deaths annually. Bipartisan analyses have repeatedly shown that the cost of environmental regulation is exponentially cheaper than the costs of toxic cleanup and medical care. European Union companies are required to provide data on chemicals they produce, detailing risk to human health and the environment. But in the United States, it’s the EPA’s job to evaluate the 80,000 chemicals listed in the Toxic Substances Control Act database. Public systems provide drinking water to 90 percent of U.S. residents. The need for regulation is clear. The Centers For Disease Control and Prevention’s 2009 biomonitoring report painted a chilling picture of toxic exposure, finding 212 chemicals in people’s bodies, 75 of which had never before been measured in Americans. One of them, perchlorate, was found in every person tested. Perchlorate is a component of rocket fuel and other explosives that can impair nervous system development in babies and children – and it pollutes drinking water in 26 states. But EPA is under intense pressure from Congress and corporate lobbies not to do its job. As a result, millions of us ingest toxic traces of pesticide, rocket fuel, arsenic, heavy metals, and industrial and waste treatment chemicals each day. Not because they’re safe, but because EPA has only gotten around to testing 114 of the 315 pollutants found in U.S. tap water. There are no standards for the rest. Even small residues of some pollutants can, over time, cause cancer, nervous system damage, birth defects – or spark other serious health problems. Earlier this year, a scathing report by the Government Accountability Office, the investigative arm of Congress, criticized the EPA, highlighting long-standing problems identifying and regulating dangerous contaminants. A 2009 study by the American Society of Civil Engineers gave American drinking water infrastructure an overall grade of D-. EPA finally established safety limits for perchlorate in 2010 – the first chemical the agency has regulated in 15 years. Since 1996, the underfunded and resource-strapped agency has reviewed just 138 chemicals, and failed to set drinking water safety standards for any of them. These chemicals collectively pollute the drinking water of over 110 million Americans. Health and environmental watchdog groups are pressuring EPA to meet its Congressionally-mandated duty to enforce clean water laws and insure that America’s public drinking water is safe and free from dangerous chemicals. EPA Administrator Lisa Jackson openly admits such failings. In a “New York Times” interview she agreed that the nation’s water doesn’t meet public health goals, and that enforcement of water pollution laws is unacceptably low. In January, Jackson unveiled a new, streamlined Drinking Water Strategy that will regulate toxins by chemical groups rather than individual compounds. At the top of the list are 16 volatile organic compounds known to cause cancer, including benzene and petroleum products. The plan would, in theory, speed research and regulation of hazardous industrial contaminants. For the conceivable future, it seems likely that both Congress and EPA will continue to get failing marks for their protection of the nation’s drinking water. 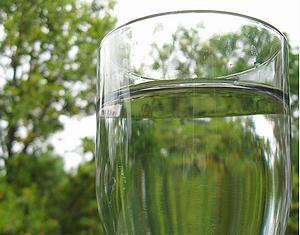 In the meantime, filtering water is the best bet – not drinking bottled water, which many mistakenly believe is pure. In most cases, it is just bottled tap water with the addition of chemicals that leach from the plastic bottles. Chemicals can be removed from drinking water through various types of water filters, reverse osmosis, and distillation.